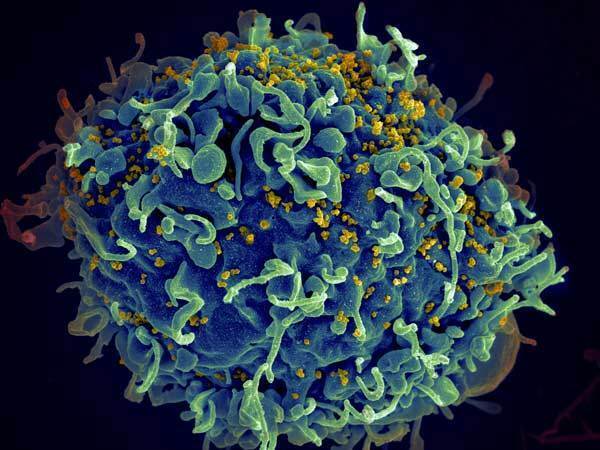 Recently, the seventh grade was involved in a unit which focused on the study of HIV/AIDS, where they learned about what exactly these viruses are, the cells involved, how they impact the overall immune system and one's health, the means of infection, protection, and most importantly, prevention. 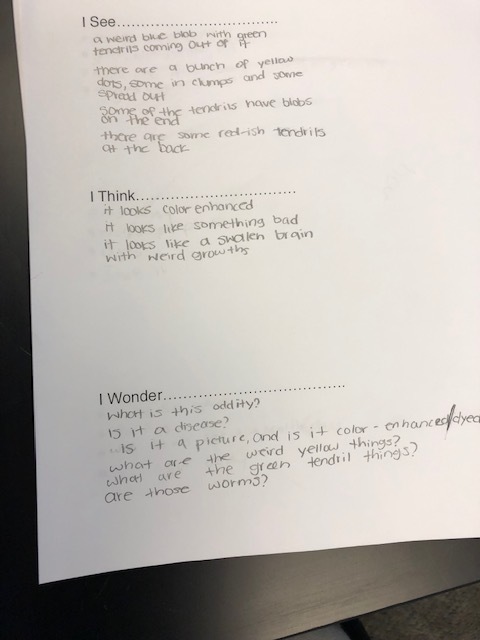 We did an activity called "See, Think, Wonder" where students were asked to really look and examine the image, think about what it is they (may be) seeing, and wonder what the picture may be representing. At the end of the activity, we did a reveal and discovered that what they were looking at was an HIV infected cell. Despite the attractive color scheme and formation, we were surprised to SEE how different these look under a microscope. We had to THINK about cells and their structure when they are not healthy, and finally, we WONDERED how such a "pretty looking" cell could be so deadly. This reinforced the concept that no matter what something looks like, it may not always be what we think it is.